Longing is the desire to prolong that moment, and to understand – maybe not even consciously –that to get what you wanted would end it. Claire Messud is the author of the New York Times Bestseller, The Emperor's Children. Her new novel, The Woman Upstairs, is set and was written in Cambridge. With rave reviews and our own giddly local following, we had the pleasure of sitting down to speak with Claire about her process, her life and her interest in exploring the importance and dangers of people's inner lives. The Woman Upstairs begins "How angry am I? You don't want to know. Nobody wants to know about that." And with “I’m a good girl, I’m a nice girl, I’m a straight-A, strait-laced, good daughter, good career girl and I never stole anybody’s boyfriend and I never ran out on a girlfriend….” Is this your mantra, because you sound pissed off? Me? I am a good girl. Yes. I feel I've always been a good girl. I think, in some way, creating Nora as a character was liberating for me because I was aware that I was creating somebody who people might well hate, and it felt very freeing to do that. How did you know how I felt to be forty-two? I've been forty-two. There's a point where Nora talks about this realization that life has a horizon, and I feel as though everybody I know sometime between about thirty-five and forty-five has some version of that realization for themselves It prompts very different responses in different people. Some people move to another country. Some people buy a red sports car. I think that for so long our culture allows us to think of ourselves as young whereas, if we were Somali, we would be running the household at age twelve. We think of ourselves as young for so long and then there comes some point where we realize that it isn't all before us. I had started another book after The Emperor's Children and it began with the death of a difficult patriarch and then sort of went back to describing the years leading up to it. That was the sort of form - the idea of it. But every time I was working on it my father would get sick and I felt like it was black magic or something. After the third time he got sick, I thought, I need to just put this to one side and start something else, so I started this and I must have been forty-three. In Nora Eldridge you’ve created a woman many of your contemporaries will recognize for her midlife fears and burning anger. Why did you decide to make her childless and unwed? For me, an abiding preoccupation, something I’m interested in always, is how much of our lives are invisible and unknown by other people. You know the Chekhov story, The Lady With The Little Dog? There's that wonderful moment where he's walking his child to school and he's in love with his mistress. He's had lots of affairs before but in this one, he's fallen in love and he suddenly thinks to himself, 'Nobody knows. Nobody knows about her. The things that are the most important to me, nobody around me can see,' and then he has this realization that that's true for everybody. That everybody around has this – it’s their inner life that matters to them. That would be my husband...Maybe something more voyeuristic? You see, at that point there's going to be some reality check where the circumstances of life are going to make clear that there's a reality. She has much more time on her own to fabricate her inner life. But I wouldn’t want people to think that I’m making some statement about what it is to be single because she’s one person. I really believe in her and in her psychology; she’s very real to me. Sirena tells Nora that when she was in Paris, “In this theater I’m a daughter, and a sister and a mother – never an artist. I could be, I don’t know, Luc Tuymans, and it would mean nothing to them. They allow for no room for anything but my duty.” Does this capture our times for women today? What were you trying to solve with this book? I think several different questions - two of which we’ve just talked about. One, this question of how do you find a balance as a woman between living a life that you can think of as ethical and loving and still find a place to create? That's one thing for which I will probably be looking for a lifelong solution. And then this other question of how do people balance an inner life and an outer life? A fantasy is what keeps you going, but at what point does that become detrimental? At what point does it become a problem to live in fantasy? I'm fascinated by this Chekhov story, The Black Monk. Do you know that story? It's interesting, I read the translator's introduction in Chekhov’s collected stories and Richard Pevear, who usually refrains from sort of literary judgment, calls it a bad story. I actually feel like it's a completely fascinating story. The only reason for Chekhov to have written that story is because that question was interesting to him or happened to him or happened to somebody he knew. Is it wrong for a kid to think, 'I'm going to grow up and be a pop star?' A kid who loves to sing? It's a fantasy. It might happen for one in a million kids. So, if 300,000 out of a million kids are going around thinking 'I'm going to be a pop star' - which happens today - is it something we as parents should be saying, 'No, no, no, no, no. You won’t be a pop star' or should we be saying, 'That's a great plan! I think that sounds wonderful?' To what extent should we encourage them because all creativity comes out of fantasy? So, if you kill people's fantasies, they won't do anything. What’s the balance? I don’t know. What is longing if not desire? Well, longing is desire but I think longing is a desire that doesn't expect to be fulfilled. If you think of Ode on a Grecian Urn, everything is always in the moment of anticipation and never actually consummated. The point about what's depicted on the Grecian Urn is that it's everything in the moment before. And I think that is, in some strange way, the most delicious moment. So longing is the desire to prolong that moment as long as possible. And to understand, maybe not even consciously, that to get what you wanted would end it somehow. The publishing industry is in such throes. I read recently that titles with the words “Fifty Shades” and “Hunger Games” were grabbing all the first row seats in sales last year with so many new authors being sequestered into self-publishing. What is the future of publishing? I actually think it's a question that nobody knows entirely the answer to, and in that sense it's being made up all the way along. I feel as though there is an upside. Do you remember in the Soviet Union, when it was called that, there was Samizdat and Samizdat was the underground circulation of literature? Publications were mimeographed and handed out. The true intellectual life of the country was in this subterranean exchange. I think the Internet does that. The problem is that the Internet also does so many other things that you have to be able to sift through it. I don't know. It seems to me that none of us has found an answer to adapt to this changing situation, so the publishing houses increasingly want things with guarantees, right? It was true even ten to fifteen years ago. This crazy idea that people are supposed to have not only blurbs when their books are coming out, but pre-blurbs, and that you would approach the agent with pre-blurbs so that they will say, 'Oh, well, I know I can get Don DeLillo on the back of this book.’ That's crazy. A thing for Nora to keep in mind, and I keep it in mind, is that Schopenhauer wrote The World is Willand Representation and published it in 1818. It was barely reviewed and nobody paid any attention and he changed nothing about his life, he kept working. He said, 'They'll come 'round. They'll come 'round. They'll come 'round.' Do you know when they came 'round? 1853. And he was still alive. He was still alive to see it. But at some point you just have to do your thing and then ‘come what may’ and believe. But that's also a question. If nobody had come 'round, Schopenhauer would seem like a nut. 'Oh that old nutty guy who believed that people would pay attention to him and would think that his work had some merit - poor, deluded crazy guy.' If a thousand people are transformed by it or just one, that matters. 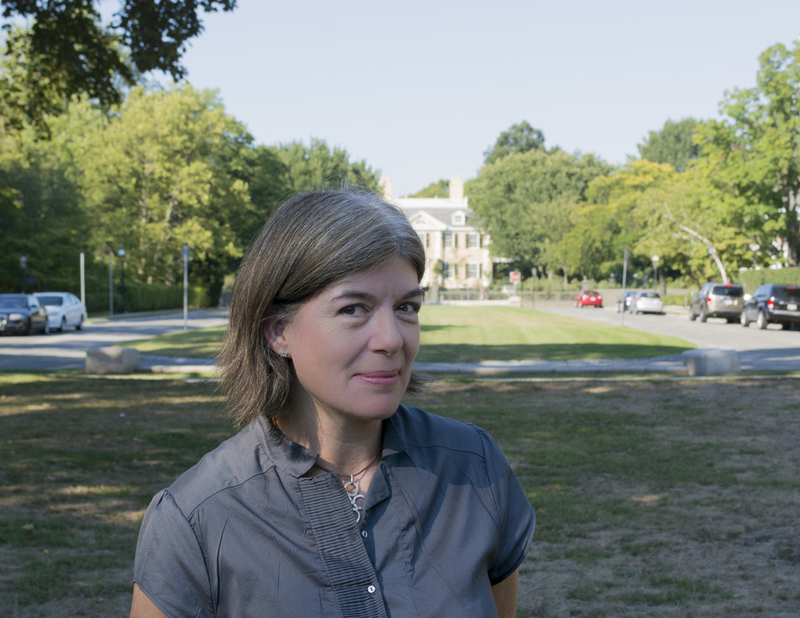 Would you describe a day in the life of Claire Messud for us, a writer with young children and a husband who presumably also needs quiet time to read and write? Well, I think a typical day is sort of dismaying. Should I describe a pretend day that sounds better? No. We want the typical day! Well, you see, I'm very lucky that I have a beautiful office. There's an old building that Radcliffe isn't using anymore where a bunch of Radcliffe fellows can rent space and I have an office with two windows. It's not big but it has two windows. And so do I go there? When my mom was ill in my living room, I went every day and I wouldn't have stayed sane if I hadn't gone every day, but one of the things that's crazy is how hard it is for me to get there now. I take the kids to school. I walk the dogs. I put on the laundry. And then I think I should attend to a few emails and before you know it, it's 11:00 a.m. And then I think what I should really do is pack a sandwich and go to my office, but I remember James is up in his study and I think, ‘We could have lunch together at 12:30. So, why don't I just read here?’ I have lots of reading I need to do so do some reading until 12:30, we have lunch and then the dogs need to go out again and before you know it, it's almost 2:00 and if you have to pick up the kids at 3:00, there's not much point going to the office. It’s these tiny little dribs and drabs of time. What about a day where you need that big swath of time? I could work here. (We met upstairs at Café Algiers.) The thing is, I can't work where anybody has claims on me. It’s this strange thing. When I go in to my office, I can't believe that I'm ever not there. Do you ever have that feeling where you think, 'How could it be that life is ever not like this?' I mean… it's just such a different space. The huge joy of kids is that they're in the world but they require you then to be almost all the time in the world and if before children you spent a lot of time in your head, you really have to struggle to reclaim that space. It's different, and very separate, from a family life. Honestly? If I had a slightly different life, I feel like I'd be like Edith Wharton and I'd be writing in bed. I have one of those lap pillow-desk things and I really love bed. Where is your favorite place in Cambridge for a cocktail? I like the Westside Lounge. The past couple years on Columbus Day weekend we've gone to a place in Maine on Sebago Lake that has cabins that I really love. It’s as close to Muskoka Lake in Canada as I can get, and those are the holidays of my childhood. So, I would have to think that a vacation on a clear lake with beautiful water, forest and boulders and pine needles underfoot - That's a pretty good vacation. Messud's book is now on sale.